A dinghy rolled in the calm swells of the Mediterranean. On a cliff above the harbor, I was relaxing with new Italian friends enjoying the approaching sunset. As the sun slipped behind the small coastal town of Manarola, the harsh light disappeared and the blues of the sea came to life. As I set up my long lens, I realized this shot could be anywhere: in Italy, Florida or even in my home town in southern Maine. 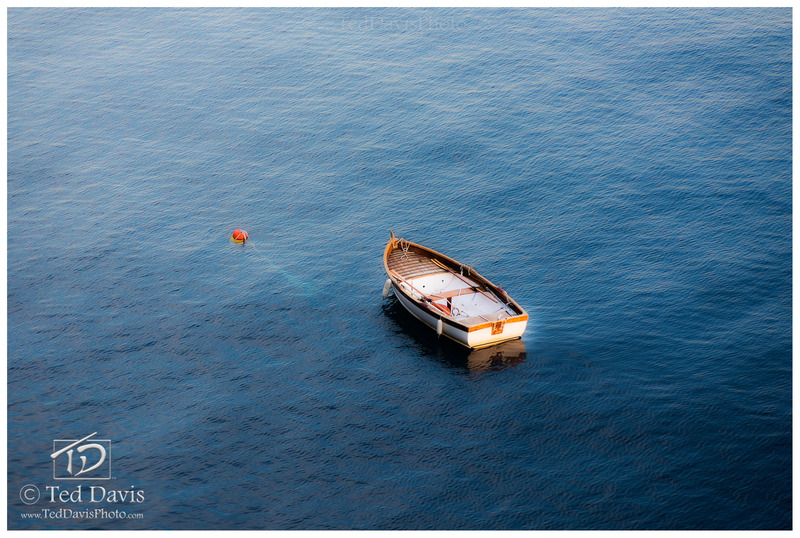 Snapping the shutter down, I marveled at the simplistic beauty of capturing a dinghy at rest amid the beautiful blue sea. Photo © copyright by Ted Davis.